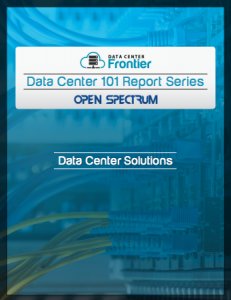 The Data Center 101: Data Center Solutions report, brought to you in partnership with Open Spectrum, is part of the Data Center Frontier Data Center 101 Special Report series. This entry, part of a group of 14 reports that cover the ins and outs of the data center industry, walks readers through the different data center solutions available today to their clients. This includes build-to-suit data centers, shell building data centers, modular data centers, managers wholesale data centers and more. The report also covers the option of managed commercial retail companies, through which owners build out and manage small sections of power and space for multiple small tenants. As you learn more about these options, you will be better able to define and communicate your clients' needs. Just joining the industry or need to brush up on Data Center basics? See additional entries in our Data Center 101 Special Report Series, which cover topics like data center design, types, power, negotiating data center contracts and more.